My husband Manuel P. Santos, M.D., and I are thrilled to announce that our Catholic marriage advice book is available for purchase on Amazon and Barnes & Noble.To check availability in local, independent bookstores, you can click here. Our publisher Ave Maria Press also frequently offers special discounts through its site here. The end of each chapter provides three bonus features to stimulate in-depth conversation, greater understanding, and positive change: 1) Conversation Starters; 2) Action Plan; and 3) Catechism Corner, with a quote from the Catechism of the Catholic Church to think about or even memorize. In the appendices, you'll find tips on how to organize a book club in your parish or home plus numerous additional online and print resources. Our book is ideal for couples to read and discuss on their own either before or after the wedding. It is also a perfect choice for small groups like book clubs, pre-Cana programs, and marriage enrichment programs. Free downloadable worksheets for each chapter are available at this link. 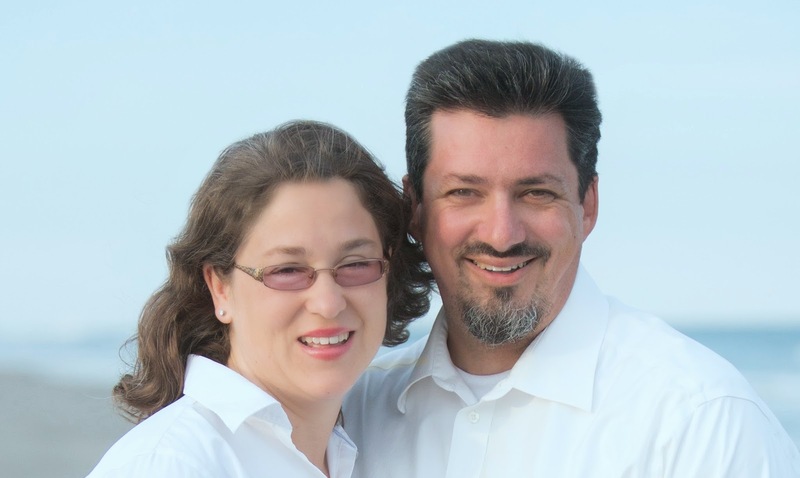 By encouraging couples to gather together in community to learn about these issues, our book motivates people to help themselves and help each other at the same time. 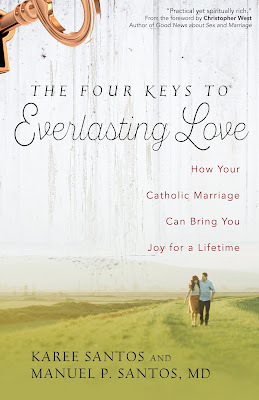 If you are interested in receiving updates about the book plus news and tips about Catholic marriage and family, please subscribe here and get our free Marriage Rx eBook as our thanks. 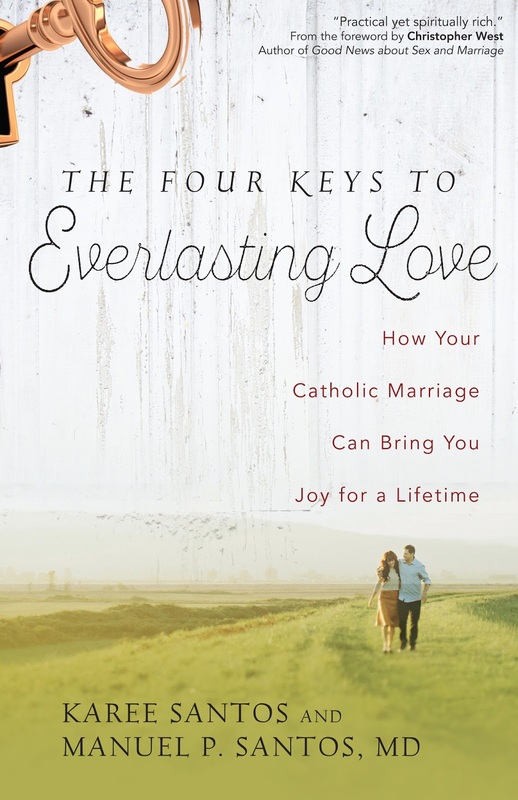 If you are involved in pre-Cana, marriage prep, or parish or diocesan ministry and would like to incorporate our book into your program, please email me directly at santoskaree@gmail.com. Bless you for asking. It IS a surprise!! The publisher always gets to pick the title, and we haven't gotten to that part of the process yet. So glad you like what you've seen so far! Volume discounts are of course up to the publisher as well. Congratulations on your 50 years of marriage and 12 kids! Rose Marie Doyle's question, "Do you offer volume discounts"?